This black knit gamer by Reebok was worn by Luca Caputi during the 2007-08 OHL season. The Pittsburgh Penguins selected Caputi in the 4th round of the 2007 NHL Entry Draft. Caputi spent 4 years in the OHL where he played for the Mississauga IceDogs for the first 3 and spent a final year with the Niagara IceDogs. Following the 2008 OHL playoffs, Caputi immediately joined the Penguins AHL affiliate in Wilkes-Barre/Scranton. Luca would spend parts of 2 seasons with the Penguins before a deal sent him to the Toronto Maple Leafs where he played for another couple of years. Since leaving the NHL, Caputi has been playing in Sweden. 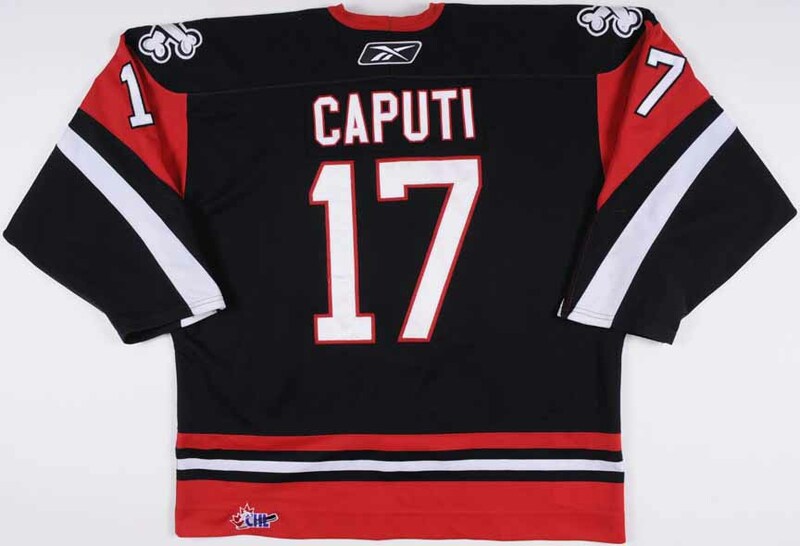 It was during Caputi's last OHL season that he established franchise records for Goals with 51 and Points with 111, doing so in 66 games played for Niagara in 2007-08, while wearing this jersey. 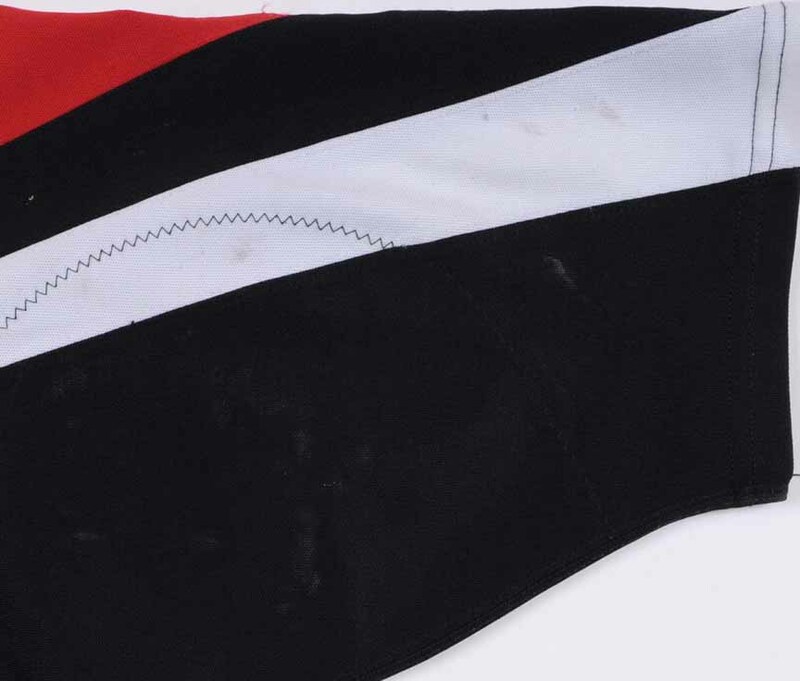 Proudly sewn to the left breast of this gamer is the alternate Captain’s “A”. The game wear on this size 56 sweater consists of stick and slash marks, board burns, board paint transfer, un-repaired burn holes and inner pilling. Affixed to the inside hem is the official Niagara IceDogs game worn jersey tagging. A tremendous example from Niagara’s inaugural season, donned by this former NHLer as he established still standing franchise records for Goals (51) and Points (111), choice!